On the bright side, he has never actually been convicted of fraud, racketeering or money laundering. He has also never been arrested for corruption. No has ever caught him on hidden camera offering bribes or election gifts. Ummmm… well, thats about it really. 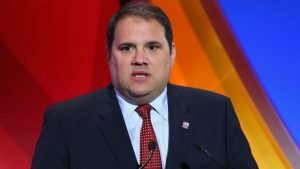 The news that Canada’s own Victor Montagliani was elected president of CONCACAF, the continental confederation in FIFA representing North, Central America and the Caribbean, is another underwhelming sign of the lack of reform inside FIFA. For international readers here is a quick review of Victor Montagliani’s career as head of the Canadian Soccer Association (CSA) before winning today’s election. Eighteen months ago, in an interview with a British Columbia financial magazine Montagliani cited Jerome Valcke and Jeffrey Webb as his “inspirations” who had taught him a great deal about how to conduct business. Yes, that’s right. The same Jerome Valcke who is under arrest and has been thrown out of FIFA for alleged corruption: as well as being named in the recent Panama Papers for somehow managing to own a lavish yacht. Jeffrey Webb? He is the man who pled guilty to a multi-million-dollar fraud inside CONCACAF after being arrested by Swiss police at the behest of the FBI. Part of Webb’s plea bargain was admitting that some of the money he stole came from the youth soccer wing of his own Cayman Islands Football Association. This is pretty standard stuff for CONCACAF. The last four presidents of the organisation have either pled guilty or are under international arrest warrant for corruption and fraud. To be fair to Montagliani no one has ever accused him of being bright enough to be corrupt. Nor has anyone suspected he might be corrupt. It is just that the poor man has the King Midas touch in reverse. Everything he gets involved with withers and dies. 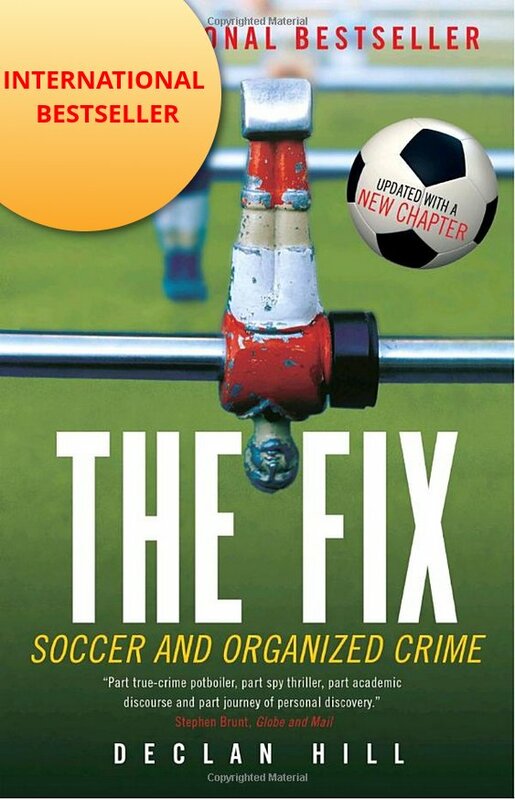 After naming soon-to-be convicted fraudster Jeffrey Webb as his “inspiration” Montagliani helped organise a conference in Canada on how to best protect the sport from match-fixing, organised crime, fraud, corruption, etc. Who did Montagliani choose as the man to issue the keynote speech for this important event on the integrity of international football/soccer? Yes, that’s right – Jeffrey Webb. Again to be fair to Montagliani, few people outside the FBI knew that Webb was just about to be arrested for fraud. However, Montagliani had worked closely enough with his “inspiration” Webb that a reasonable person might have begun to suspect that Webb might not be the best representative of “integrity in sport”. In fact, just about everything that Montagliani has touched since becoming the leader of the Canadian Soccer Association has been a disaster. The men’s Canadian national team is currently ranked behind soccer giants like the Faroe Islands, St. Kitts & Nevis and Antigua. To be fair, to Montagliani, the Caribbean country of Antigua also includes the island of Barbuda – so together they have a population of more than 80,000 people. You can see why Canadians would struggle against a team like that. After all, we only have 36 million people. The Women’s World Cup? Well the Canadians managed to get the hosting rights after a tight race with human-rights challenged Zimbabwe. Then Montagliani and the Canadian organisers embarrassed their country by insisting that because there was not enough grass in June in Canada, the games would have to be played on artificial turf. Cue our own international human rights outcry, that prompted a judicial case from dozens of the world’s top female players (many were bullied into backing down) and letters of protest from Hilary Clinton and senior U.S. Republican politicians. 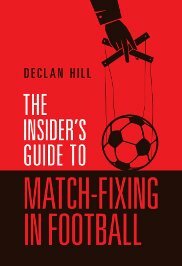 Match-fixing? Canada is an international joke in this area. Montagliani’s CSA did get the worst offender – the Canadian Soccer League – decertified. However, the league carries on. They may have been helped because no senior Canadian soccer official has had the courage to publicly denounce the fixing. You see for months a female sports lawyer on the CSA’s board of directors – Amelia Salehabadi-Fouques – has been campaigning for the organisation to publish a basic financial statement. Salehabadi-Fouques pointed out that the Americans, with a far larger organisation, publish their financial statement: so why is it not possible for Canadians to do the same? Montagliani’s response? Throw the troublesome woman out of the CSA. So with such an unimpressive administrative track record why did Montagliani get elected to the Presidency of CONCACAF? Because with Montagliani the tight, incestuous world of FIFA will probably get lots of cliches but little real change. Declan, your article is simply brilliant and spot on! Yes without question the incestuous relationship with the world of FIFA pertaining to Canadian Soccer will not change in my life time! Since 1983 the CSA has certainly been lackeys to FIFA and CONCACAF! No doubt Victor Montagliani was aided and abetted to a large degree by a number of his so called colleagues at Concacaf and FIFA, a number of these political individuals certainly have been involved at FIFA and CONCACAF some going on from say five to twenty years. Some still involved with FIFA and CONCACAF,so many of these individuals had to have indeed looked the other way or sat on the fence while enjoying a life of the rich and famous while all of the plundering, corruption, and money laundering was going on most certainly at CONCACAF and FIFA! Keep up the excellent work Declan! I and others feel so sorry for what happened and the lack of respect for The CSA Director Amelia Salehabadi-Fouques by the CSA hierarchy no doubt this is just one prime example of how shallow most of these CSA Directors are, after all they no of no other soccer culture than the one that they have been brought up in Canada! CONCACAF, FIFA etc. I and so many of us former professionals cringe, in North America and Europe pertaining to the FIFA and CONCACAF’S lack of integrity going back decades, nothing seems to change! Pingback: King of the Mediocre - Declan Hill - Institut für Fankultur e.V. To readers who do not know Les Wilson this is an extraordinary comment from an extraordinary man. Les Wilson played in England on the Wolves team that featured the great Derek Dougan. Wilson then returned to Canada and was part of the team of soccer officials that actually won things for the nation. He was part of the Whitecaps organization, helped Canada qualify for the World Cup. Wilson and men like him are a far cry from the mediocrities that run Canadian soccer now. BTW – Canada and China were recognized as the most under-performing soccer nations in the world by the ‘Soccernomics’ authors Simon Kuper and Stefan Szymanski. It is a national embarrassment.